Hey beautiful yogis. I’ve just returned from an amazing work/yoga holiday in Portugal and I wanted to share a bit more about my trip to Lisbon in what will hopefully be an awesome and useful guide to help you enjoy your trip. Topics included will be: yoga in Lisbon, awesome vegan restaurants in Lisbon (and some seriously delicious regular restaurants), and where to find yoga clothes while you’re in the city. I only spent a few days in Lisbon and I can’t wait to go back and visit again after our June 2019 yoga retreat in Portugal. Alright yogis, who has practiced yoga in a foreign language? I have! And it’s super fun. Obviously, it has its challenges too. When I’m traveling I usually seek out bilingual classes because it helps me learn the native language… in this case Portuguese, but sometimes I just want to be told what to do without thinking about it. LOL. Little Yoga Space in Baixa is my favorite spot for yoga in Lisbon. The yoga studio is conveniently located, the space is beautiful, and there are many classes throughout the day. Little Yoga Space offers English & Portuguese classes, English only classes, and Portuguese only classes, which is an absolute win in my book! I also love that they offer everything from Vinyasa to Kundalini to Yin to Laughter Yoga. There is literally something for everyone. The studio has an extensive workshop calendar for yogis that want to deepen their yoga practice or are around a bit longer. Ministry of Yoga is another great option to practice yoga in Lisbon. Ministry of yoga is also conveniently located to many tourist sights and will likely be at least close-ish to where you’re staying. The studio has wonderful, knowledgeable teachers with a wide range of classes including: Rocket Yoga, Ashtanga (led), Vinyasa, Forrest, Yin, and Kundalini. Owner Zoe, is also incredibly responsive to inquiries and questions. And there are even more yoga options in Lisbon. Yogana Lisboa offers rooftop yoga and yoga in the park. The amazing and delicious Foodprintz Vegan Cafe offers Jivamukti and Hatha Yoga. And there is a rumor that there is an occasional pop-up yoga class at one of the museums. There seem to be a large number of yoga meetups in Lisbon as well. There are many ways to get your yoga on! Many of you know that I am more flexitarian than strictly vegetarian or vegan or any other label. At home I eat 95% vegetarian, in Bali I eat nearly 100% vegan, and in Europe and Central America I’m a bit more flexible. We ate some amazing food in Lisbon… and after a yoga class or afternoon of sightseeing, I’m usually pretty hungry! One of my favorite meals of the entire trip was a gorgeous pea soup from the TimeOut Market. So fresh, so wholesome and nutritious. I’d honestly never had pea soup like it. The TimeOut Market is essentially a fancy food court near the water. There were so many great looking things to eat. We also tried to eat at Ramiro a famous family-owned seafood restaurant and cerveceria, but we didn’t have a reservation… nor did they pick up their phone earlier when we tried to call and make a reservation. Anyway, when we arrived the wait was so massively long… I think there were 50+ people milling about outside the restaurant. We didn’t want to wait, so we searched out another seafood restaurant and we found a gem! We ended up at Marisqueira do Lis (no website) which to our surprise was full of locals instead of tourists. The prices were fair and portions large. We had an octopus salad and a platter of mussels. Both dishes were fresh and flavorful. Ao 26 Vegan Restaurant in Lisbon was conveniently located right next to where we stayed. The restaurant was busy with both locals and tourists and had a menu that could convert a meat eater into a vegan real quick! Lots of options from curries to burgers to chocolate cake (get the chocolate cake). The vibe is pretty cool too. I will definitely be dropping in again before next summer’s yoga retreat in Columbeira. Did you forget to bring your yoga mat or leggings? No worries. There are a handful of Oysho shops in Lisbon. Oysho is a lingerie company, but they also sell activewear… and it’s actually cute. The quality seems pretty decent and it’s definitely on trend. When I was there last month they had some gorgeous leggings and super cute sports bras in beautiful Autumn colors. Oysho does sell yoga mats too… although they might not have much of a selection. Your best bet is to bring a yoga mat from home or borrow one from a studio. If you’re attending a yoga retreat in Portugal and you need to buy a yoga mat in Lisbon I would check Oysho first. There is an Oysho shop on Rua Garret, which is not too far from Rossio Square. There is a Nike store nearby too. There is a big sports chain in Lisbon called Sport Zone. The most central location is at the Amoreiras Shopping Center, but there are many locations throughout the city. They also sell activewear and yoga mats. And finally, we’re to yoga events. I recently found out that Wanderlust Festivals hosts a Wanderlust 108 festival in Lisbon. I still haven’t been to a Wanderlust festival… sigh. Anyway, they had one at the end of September in Lisbon and I’m sure they will host another one next year. Lisbon has a great yoga community. The Lisbon Yoga Festival takes place in November. This affordable festival has been going on for over 6 years! If you’re in Lisbon in November I recommend checking it out. Back to Nature Yoga Retreat is an affordable yoga, surf, and hiking retreat offered just 45 minutes outside of Lisbon. The next scheduled dates are June 15-22, 2019. 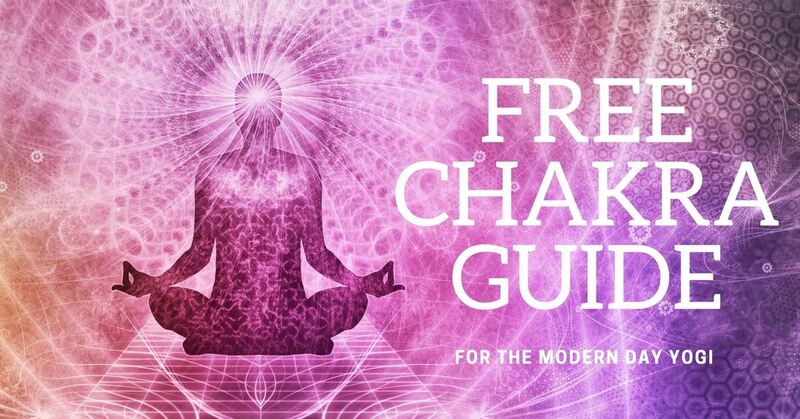 This is a great opportunity for yogis ready to deepen their yoga practice and learn more about the chakras. Portugal Spirit Festival, although not in Lisbon, is another event that is taking off in Portugal. This yoga, dance, spirit, music, and healing festival is held in Cascais in September. Yogis, let me know your favorite place to practice yoga in Lisbon. Don’t be afraid to share your favorite restaurants, sights, etc. too. I’d be happy to add them to the list. Comment below or just send me an email! Five Fantastic Outdoor Yoga Classes in Bend, Oregon You Should Try This Summer! Summer is finally here! Which means it’s time for outdoor yoga classes. This is the first summer that I have seen tons of outdoor yoga classes in Bend… seriously, you can practice yoga outside every day of the week. How do you even choose which ones to attend? This is my favorite class of the outdoor yoga classes in Bend. Every Sunday, tons of Bend yogis gather for a yoga session on the lawn. Helen, owner of Wild Thing Yoga, teaches a super fun, truly all levels vinyasa yoga class. There are plenty of opportunities to play on your hands or simply stretch it out. The lawn is also surrounded by a wildflower-covered hill (perfect for those Instagram pics!). After class, you can hang out on the hill with a can of Deschutes beer and chillout with Bend’s awesome yoga community. It’s pretty rad. You can usually catch me here on a Sunday morning– usually practicing, but occasionally teaching. Location: 901 SW Simpson Ave, Bend, OR 97702 (this is the address to the Brewery) — Yoga class is on the lawn behind the brewery off of Shevlin-Hixon Road. Lara House is a super cute B&B owned by a mother-daughter team. It was built in the early 1900s and still has that original charm. Lara House has a giant lawn surrounded by huge, gorgeous trees and rhododendrons… it’s also right across from Drake Park and the Deschutes River. It’s a new favorite of Bend downtown locals and tourists alike. After your outdoor yoga class, you can head over to Drake Park or walk back downtown and grab a coffee at Crows Feet Commons or the Looney Bean. On July 6th there will be a FREE yoga class at 5:30 pm taught by myself and Helen for First Friday. Happy hour to follow. Leanna Schweitzer and Wren and Wild have paired up to offer a fun Sunday morning flow at Millers Landing. Noise canceling headphones + groovy jams and sunshine by the river. It’s a great opportunity to try Silent Disco yoga in a beautiful low key setting. I loved the DJ’s playlist and Leanne’s class was awesome, as always. After class, go grab brunch at Jackson’s Corner… get their Portobello breakfast and a bloody mary. YUM! If you remember the old school Entrada Lodge and it’s old school vibe you will love that the new owners are keeping that old school nostalgic vibe, but making it super cool! They’ve added fire pits, string lights, daily yoga, bike rentals and more. Loge Entrada offers yoga every day of the week for guests and locals alike. Their outdoor yoga class is on their side lawn near the stage. Grab a yoga class and then hang out for a beer, movie, or live music. Occasionally there are even beginner friendly mountain bike rides after the Wednesday evening classes… contact Loge Entrada or Wild Thing Yoga for the details. Another great outdoor yoga class offered by the Deschutes River. Bend Brewing Company, or BBC as the locals call it, opens right after class, so you can grab a beer or a bite and chill by the river and enjoy your post-yoga glow. Class is taught by Kayla Heuton. Kayla teaches an all-levels vinyasa style class… well-behaved dogs and children are welcome! Athleta offers free yoga classes… sometimes in the store and sometimes outdoors. Here is a link to their July 7th class. Bend Beer Yoga offers outdoor classes in Bend at local breweries, Crows Feet Commons, local guesthouses and hostels. Check out their website for upcoming events… this is a great opportunity to convince your non-yogi friends to give yoga a shot! Mikki Trowbridge leads a yoga and beer retreat here in Bend. She gets a great turn out and I can only imagine it’s a ton of fun. Helen Cloots of Wild Thing Yoga will be packing the lawn at Les Schwab. Don’t miss out! 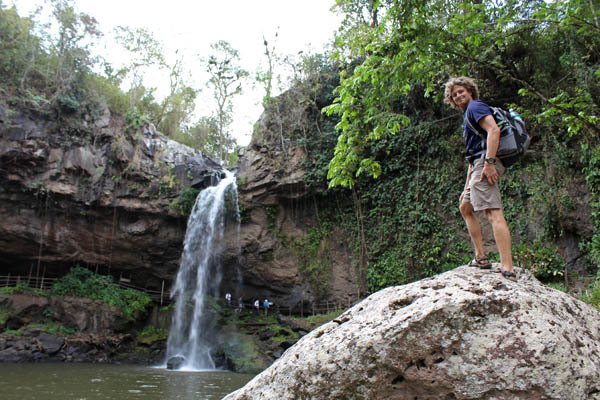 Are you planning a trip to Nicaragua’s mountainous north? Awesome! You will be rewarded with cooler temps, green jungle, brilliant coffee and friendly locals. I’ve visited Matagalpa twice now, each time for about a week and both visits have been great. Make your time in the north memorable with our top five favorite things to do in and around Matagalpa, Nicaragua. Here is the view of Matagalpa from Cerro Apante. The view from the lounge at Finca Esperanza Verde. 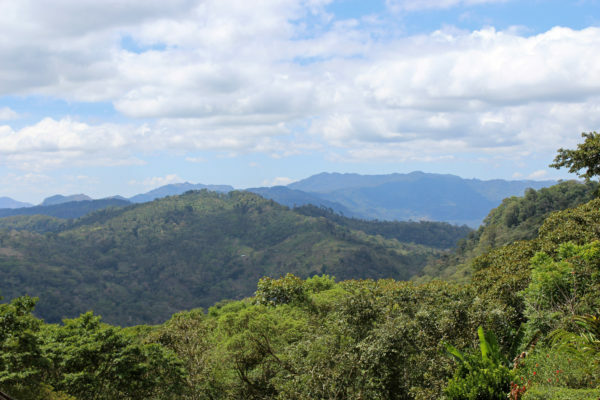 If you’ve done any research about Matagalpa you’ve probably heard of Finca Esperanza Verde. Finca Esperanza Verde is a beautiful organic coffee farm set high on a hill with some of Nicaragua’s most breathtaking sunsets. Vivianne and her team of local staff are gracious hosts and will happily guide you on one of the many well-maintained hiking trails that criss-cross the property. The guides are excellent and will help you spot parrots, birds, monkeys, sloths, etc that you would miss on your own. It’s possible to enjoy the property for the day or better yet stay a couple of days to take full advantage of the miles of trails, delicious organic food, and the cool crisp morning air (you’ll crave it after a week or two on the coast.) Book one of the Colibri Cabins for the best views. You may be lucky enough to join a workshop or yoga retreat at Finca Esperanza Verde. The yoga experience at Finca Esperanza Verde is absolutely unique. During practice you may see toucans fly by or spot a sloth up high in the treetops. The Finca offers guided hikes, organic coffee and meals, coffee tours, birdwatching tours, yoga and more. If you’re a chocolate lover then a visit to Castillo del Cacao is a must (when I checked last they were closed on Saturdays). 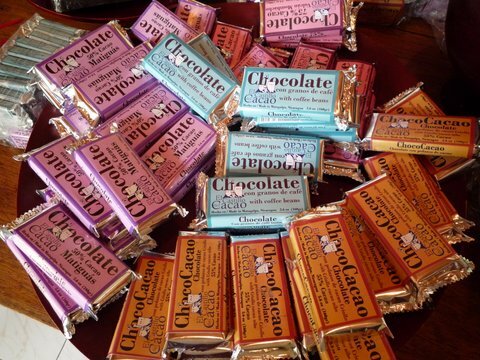 It’s possible to tour the facilities before stocking up on the best chocolate in Nicaragua. Their coffee chocolate bar with whole roasted espresso beans is seriously divine and is nothing like anything Hershey’s makes. Castillo del Cacao is located just outside of Matagalpa on the way to Finca Esperanza Verde. Happy group after our jewelry making workshop with the women of Artesanias Mujeres del Plomo. Looking for a fun workshop to do with kids or your girlfriends (my husband actually loved the jewelry making workshop too)? 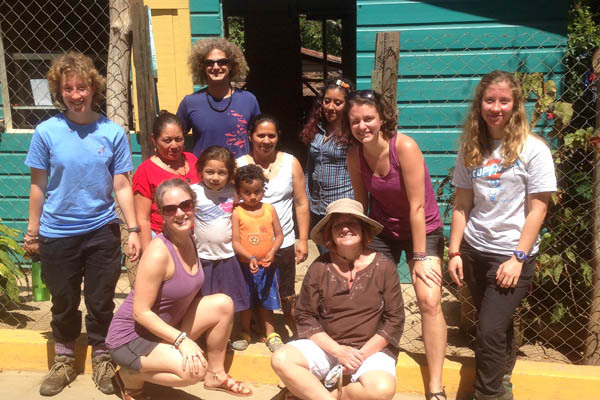 Mujeres del Plomo is a local women’s jewelry cooperative in San Ramon, Nicaragua. The group consists of about 4 women and their children. The ladies create jewelry out of seeds collected in the local countryside. You can stop in and buy a piece of jewelry or for $5-10 join for a short jewelry making workshop. Gain inspiration from the pieces they’ve already created and then create your own. The ladies are excellent teachers and will guide you along the way. Check out the pieces our group made! If you’re like me, it’s hard to be still for too long. I recommend hiking up the trail to Las Cruces. The loop trail was moderately challenging and well maintained. You can park your car in Matagalpa and then begin up the hill. You will come to a “ranger station” of sorts. Pay your entrance fee here and continue up the path. 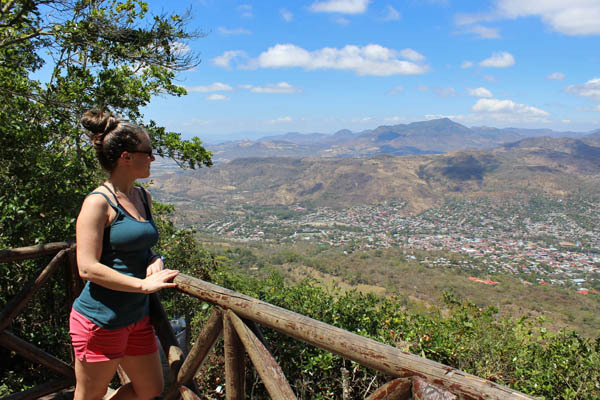 You will come to an awesome viewpoint overlooking the city of Matagalpa, Nicaragua. Shortly after the viewpoint you will climb the stairs up to the statue overlooking the city for another view. There may be a couple of musicians playing up top and there will most certainly be couples and families enjoying this popular outing. 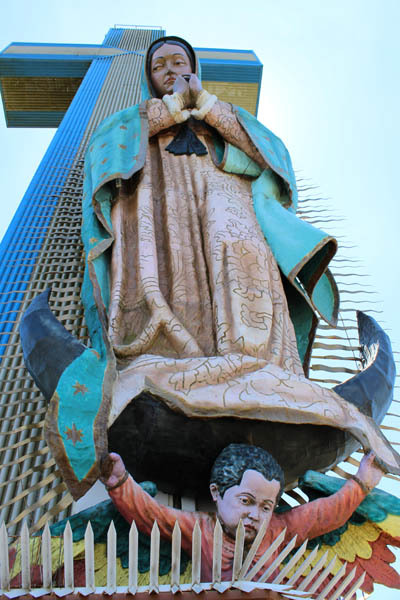 Here is a funny little blog post about a couple that went the “wrong way” up to Las Cruces… don’t do what they did. Steve happily checking out the waterfall… and perhaps debating a swim. If you have a car take the gorgeous drive out to Cascada Santa Emilia, also known as Cascada Blanca. Pay the small fee and begin the hike down the paved path. There is a large cave behind the waterfall. I recommend following the path behind the thundering waterfall and looking out at the river below. I believe you can grab lunch here as well. We ate in town and we weren’t hungry, so I can’t say if the food is good or not. Enjoy your time in Matagalpa! And as always feel free to reach out if you have specific questions. I’m happy to lend a hand… and if I don’t know the answer I can link you up with someone who does. 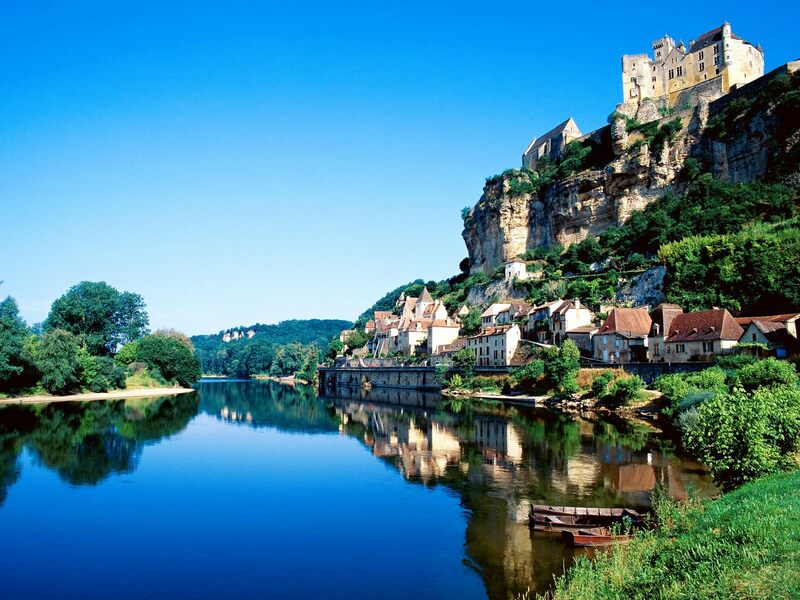 Situated in South-West France, Bergerac is located between Bordeaux and Toulouse in the Dordogne Purple region which makes it the perfect central location from which to explore the ‘Pays de Bergerac’. 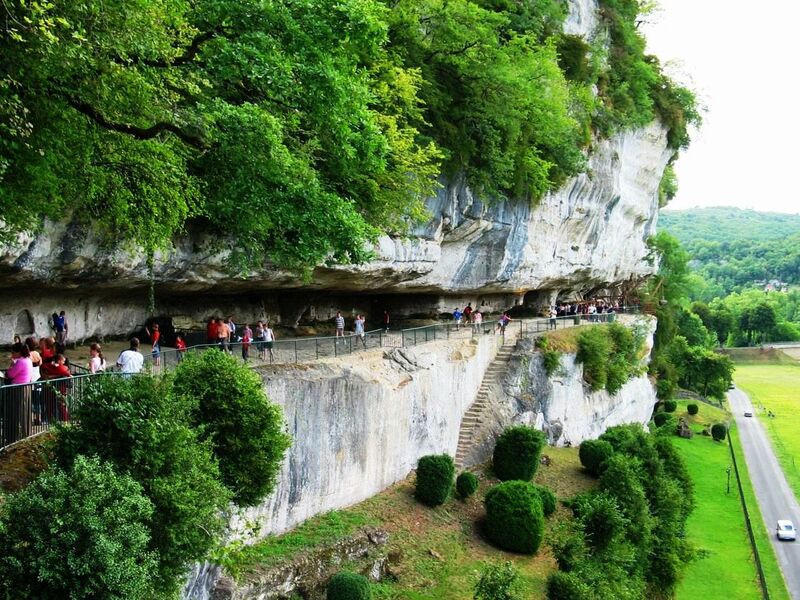 The region is rich in vineyards and fortified ‘bastide’ towns, an extraordinary range of natural and historical heritage sites; fabulous, protected countryside; the beauty of the Dordogne River; the renowned gastronomy and wines of Bordeaux and Bergerac; a rich cultural life and numerous leisure and sporting activities. 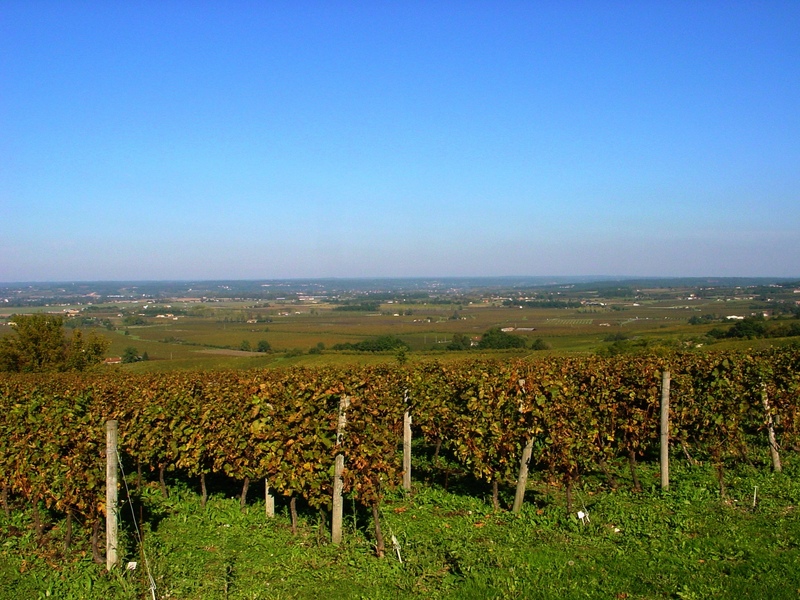 Traveling to Bergerac for a holiday? Not sure whether you should take a plane or train? 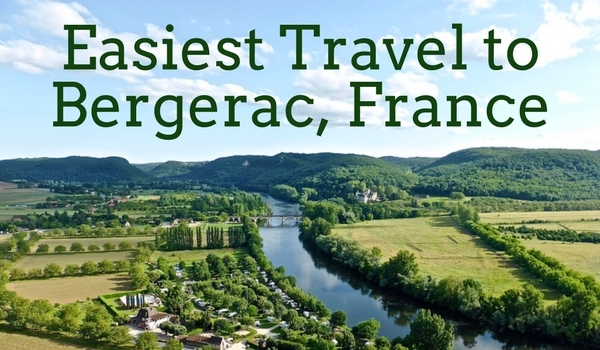 Here are the easiest travel options to Bergerac. Hope you enjoy your French holiday or yoga retreat. FLY! 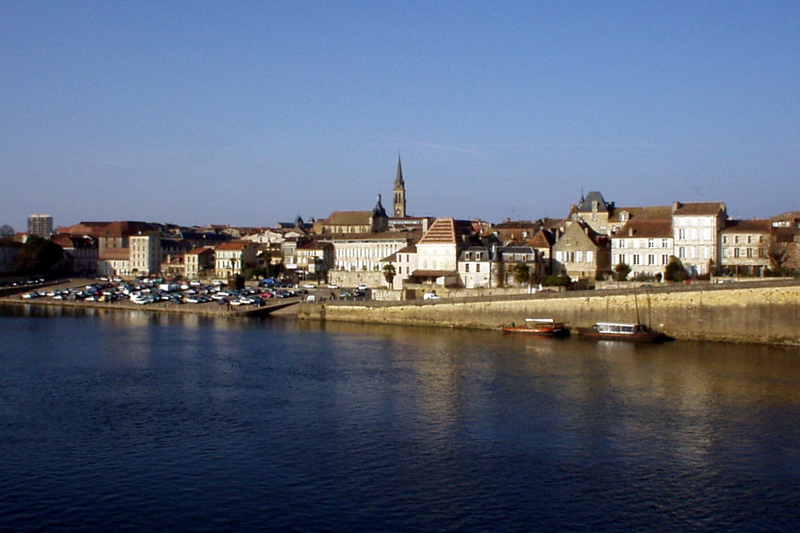 Cheap flights from the United Kingdom to Bergerac abound. Ryan Air is available for those who fly from Bristol, Liverpool, London Stansted, East Midlands, and Brussels-Charleroi. Flybe flies from Birmingham, Edinburgh, Exeter, Southampton, and Leeds Bradford to Bergerac. British Airways flies to Bordeaux from London Gatwick and BMI Baby flies from Manchester, East Midlands and Nottingham. From Bordeaux you will take the train or taxi to Bergerac. Travel time from Waterloo International (London) to Paris Gare du Nord is 3 hours. Then at Gare Montparnasse in Paris take a train direction Bordeaux, change at Libourne where you can rent a car and you will arrive in Bergerac within another 4 hours. Or from Waterloo Station in London you can change at Lille for Libourne. You can take the Eurotunnel train from Ashford (near Dover) to Calais and then drive down some 700 miles either in a day or taking a more leisurely pace over a few days. The time it takes to drive from the UK depends very much on which ferry crossing one takes (Caen is the nearest) and how leisurely one’s approach is to touring through France. It is possible to easily drive down in one day – some 300 to 450 miles of motorways. Transavia has flights to Bergerac for those who fly from Amsterdam-Schiphol. Take the train from Paris Montparnasse toward Bordeaux and change at Libourne (approx. 3.5 hours) From Libourne you’ll take another train to Bergerac, which is about another hour more. The total trip time takes about 5 hours. From the United States I recommend flying into Bordeaux (easiest) or Paris. From Bordeaux you can take a taxi or train to Bergerac. If you’re flying in to Paris I recommend staying overnight in the city to catch up on sleep, eat great food and be on the first train to Bergerac in the morning to arrive by noon. There are tons of flights from the USA to France. Vancouver, Montreal, Toronto, NYC, LAX, Miami, Boston, and Washington, DC all offer affordable flights to Paris and sometimes even Bordeaux. Another option is to take one of the LAX/NYC flights to Nice and then a train or flight to Bergerac or Bordeaux. Pro Tip: Start looking for your flight early and consider flying from a hub. Hire cars are available in Bordeaux and Bergerac either at the station or airport. Whether you’re headed across the country or to a different continent you want to book cheaper airline tickets. No one wants to pay full price. There are plenty of airline ticket deals out there if you know how/where to find them. This past year alone I have gotten some ridiculously cheap tickets from the west coast of North America; for example: Nicaragua ($450), Thailand ($440), Bali ($460), Paris ($587/$408)… all from the West Coast! Awesome cheap tickets are out there; you just have to know where to find them. 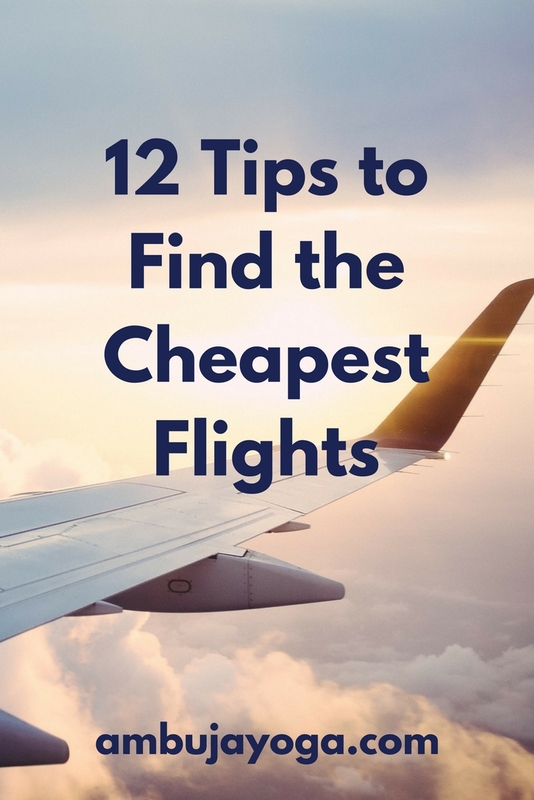 Here are my favorite tips for finding the cheapest airline tickets. Travel Pirates rocks my world… in fact I have to make sure that I don’t go to their website too often because every time I do I see awesome airfares to places I want to go. I now limit myself to visiting only once or twice a week. Travelpirates.com posts airfare deals all over the world… some fares are error fares, some are sales, and all are at great prices. Also, they use kayak as their search engine, so it’s easy to use. ALWAYS use Kayak’s flexible date search (if possible +/- 3 days). It can save you hundreds of dollars on a flight. I don’t think I need to explain this one any further. What are the travel hubs near you? Are they within driving distance? Or a short flight with a domestic carrier? I live in Bend, Oregon… the nearest international airport is Portland, which is a 3+ hour drive away. Portland sometimes has cheap flights, but I can usually save hundreds of dollars by commuting to Seattle or Vancouver, BC. The airports are busier, more flights, means more options and more competition. Look into hubs near you. Do some research, check out Hopper, and find out what the best fare is. Know your buy price and when you see it, book it. Don’t wait. Also, check multiple search engines. You can find great deals flying most days of the week… although from experience Friday and Sunday are typically the most expensive… if you have any flexibility in your schedule take advantage of it and book an extra couple of days on your vacation. It will be totally worth it. You’ll have extra time to see the sights and get over any jetlag. Farecompare.com has some decent tools for finding cheap flights when you don’t care too much about the destination… perhaps book a cheap flight to a destination and then look for a yoga retreat? This would only work in a place like Bali or Costa Rica where there are tons of yoga retreats. Hopper app is a new to me app and I love it. You search your flight route and it will tell you whether it’s a good price or not, by color coding the airfares. It also shows up on a calendar, so you can see when flights are typically cheaper. And for more popular routes it shows the airfare history. I’m a little hesitant to recommend consolidator fares, but I’ve had decent luck with them even though the booking process can be a bit “sketchy” seeming. I’ve used ASAP travel and had both success and frustration. If you book a consolidator fare it’s likely non-refundable. Also, don’t consider your flight booked until you have a confirmation number from the airline. Start looking for flights as soon as you see a retreat you’re interested in, watch the fares. Once you start creeping past the 6 week mark the fares will start creeping up in price. Skyscanner is useful for finding out which airlines fly into specific airports. Go directly to the airline’s site and check out their fares. 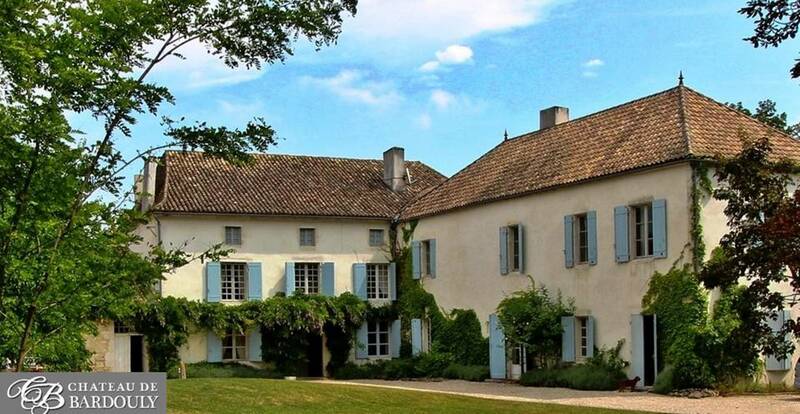 Book your ticket to paradise… whether it’s the French countryside or the tropics. Hacker fares are multiple one way tickets. They also may be open jaw tickets. Kayak now has an option to book hacker fares. The one-way flight to Lombok is less than $50 USD…. and if you were interested in getting to Lombok super cheap there are also ferries to Lombok from Bali. Get a mileage card with a good rate and no annual fee (or at least a very low annual fee) then put all of your bills, rent, groceries, travel expenses on it. Also make sure to stay up to date on their mileage plan, so your points don’t expire. That’s what I’ve got for you today yogis. I hope this blog hopes you book cheaper airline tickets to your next destination. I would love to hear how it goes!